No job is too tough for this rugged floor scrubbing swing machine. It scrubs, strips, and buffs in a side-to-side swing motion. For a high shine machine, or one that moves forward and backwards, take a look at our electric floor burnisher buffers. With its all-metal construction, dual capacitors, and steel planetary gear boxes, this heavy duty floor scrubbing swing machine can stand up to the heaviest workloads, yet the ride is surprisingly smooth and quiet. 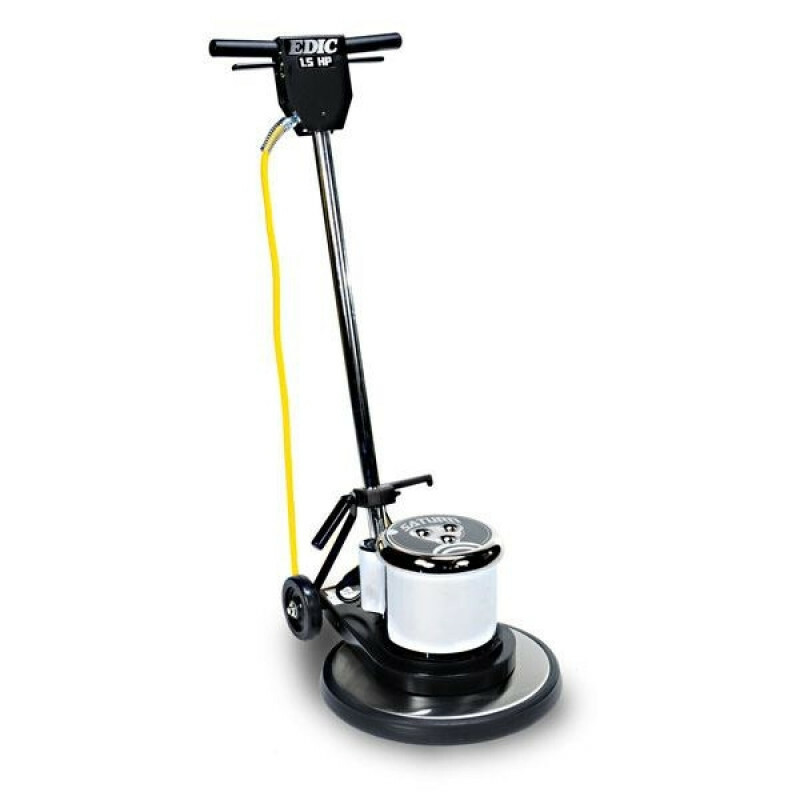 Because this unit is a low speed model, it is built specifically to handle the stress associated with stripping and scrubbing hard floor surfaces. Features like the quick and easy handle adjustment, anti-fatigue design, and the exclusive "lockout lever" for safe two-handed start up make this machine operator friendly and a winner in every commercial setting. Please feel free to take a look at our full line of 17 inch 175 RPM floor buffers for other options, including more lightweight machines that are easier to transport. All-steel triple planetary gearbox provides heavy duty yet quiet operation. Non-marking PVC bumper prevents marks on walls and furniture.